Joey Torres is officially no longer the mayor of Paterson, New Jersey. Jen Maxfield reports. 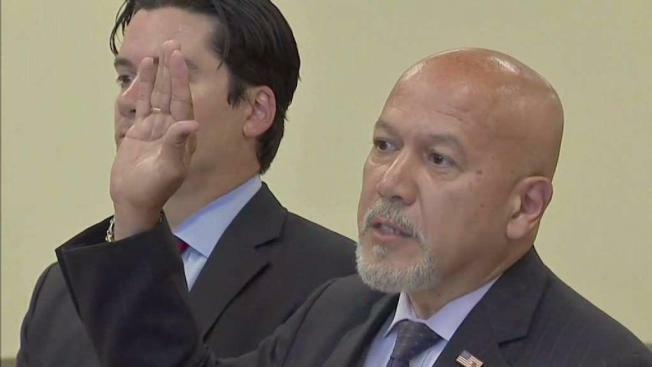 Paterson Mayor Joey Torres pleaded guilty to second-degree conspiracy charges on Friday. Joey Torres is officially no longer the mayor of Paterson, New Jersey. The embattled politician formally resigned his title at 9 a.m. Monday in a letter to Paterson's acting clerk, days after pleading guilty to conspiracy charges in a corruption case sparked by an I-Team investigation in 2016. "Thank you for the privilege of serving the people of Paterson," Torres' resgination letter said in closing. Torres had to resign as part of the plea deal and agree to never again seek a public office. He will also spend up to five years behind bars and pay restitution to the city of Paterson over the scheme to steal from taxpayers by ordering city workers to do construction on a relative's would-be beer business. Torres accepted the deal Friday, hours after Paterson Department of Public Works employees caught on camera doing work for the now former mayor's family also accepted plea deals and agreed to cooperate with prosecutors. After Friday's hearing, Torres, a Democrat, only said, "I'm sorry" to reporters outside the courtroom. His attorney Ricardo Solando later told reporters, "He served as a public servant for 30 years, as mayor for 11 years. He sees this as a very sad day. He certainly didn't see this as the end of his career." Torres is being replaced by City Council President Ruby Cotton until the May 2018 election. After meeting with department heads at City Hall Monday, she told reporters afterward she will make improving the quality of life in the city her top priority. "One thing I can say, you will be able to speak with mayor," she said. "You will be able to visit the mayor, and I will be what an elected official is supposed to be -- a servant to the people." "I became mayor of the city under a black cloud, but hopefully, God willing, a light is going to shine through this," she said. Cotton said she will not run for mayor in May 2018 but expects to serve out the current term until the end of June, when the new elected mayor is sworn in. 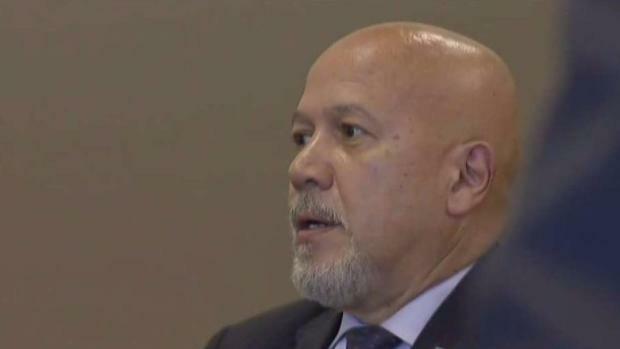 New Jersey Attorney General Christopher S. Porrino, whose office prosecuted the case, said that hopefully the guilty plea will allow Paterson residents to move on. "This mayor, Joey Torres, is blatantly corrupt and despite all of the righteous indignation, the denials and the promises of vindication, today he admitted that he’s corrupt," Porrino said. He added, "We have zero tolerance for corruption in the state of New Jersey." Paterson residents were looking forward to closing the chapter on Torres and finding honest leadership. Officials and residents in New Jersey's third-largest city reacted to the guilty plea by Paterson Mayor Joey Torres. Brian Thompson reports. "Maybe things will start going forward instead of backward," said Tamara Grey. "It's about working together as one -- not so much about politics but about leadership," said Andres Scott. Torres was arrested in March, accused of using city workers to do private construction work at a relative's planned beer business, all the while billing taxpayers. Torres initially denied any wrongdoing and vowed to fight the charges. The mayor's arrest came after a series of I-Team stories that appeared to show city employees doing private jobs for him, from washing his scooter and building bookshelves to doing construction at his nephew's would-be beer business. Three Department of Public Works supervisors -- Timothy Hanlon, Joseph Mania and Imad Mowases -- were also charged in the scheme. All three will lose their jobs after pleading guilty, but none will face prison time.